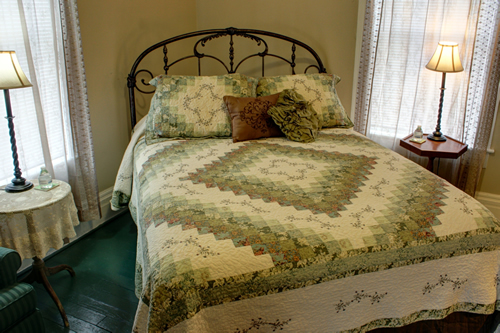 Room 8 Grand Victorian Inn has a green floor, queen bed, private bath, cable TV, WIFI. Room is upstairs at the back of the house, full breakfast at 8:30 am. Three windows overlook garden and farm.